We are very fond of the Op-Art works by the late French artist Victor Vasarely. Noir et Blanc is one of the better works of his career. 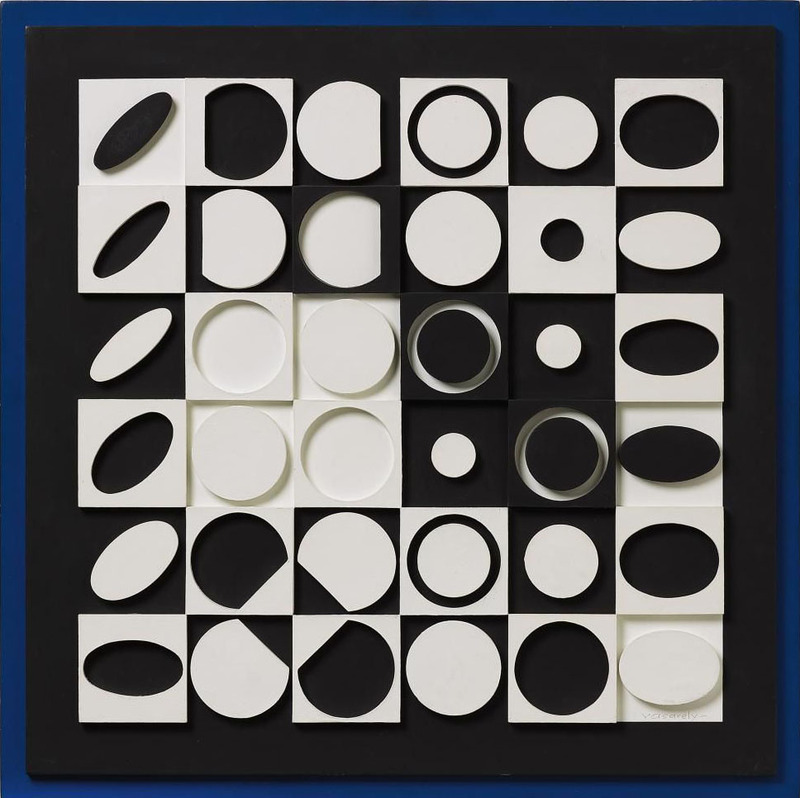 This unique composition (oil on wood) measures 29.5" x 29.5" and was created in 1964. It has an estimate of 40 to 60 thousand Euro and will be up for auction at Van Ham Kunstauktionen on June 4th 2010.